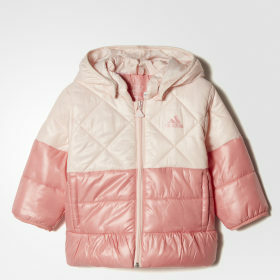 Forget the winter blues and keep your spirits high with the best adidas winter jackets ever to grace the streets. From classic puff jackets and vests to winter sports jackets and parkas, our range will keep you feeling energised, comfortable and warm through the toughest winter conditions. We believe staying warm shouldn’t compromise your style, so we’ve designed a range of winter jackets that perfectly blend comfort, style and winter performance. Choose between men’s, women’s and kid’s jackets with sizes available from 2XS to 2XL to give you perfect sizing, without sacrificing comfort and agility. Staying snug is essential but we all want to look our best this winter. Our slim fit designs give you a flattering look that accentuates your figure. Our regular fits blend comfort and style to give you a smooth look that is comfy and practical. Our range of winter jackets will help you stay active this winter with designs and styles tailored to your life, your way. Our lifestyle range brings you effortless street style and comfort with classic designs including parkas, jackets, and body warmers. Our outdoor jackets range will help you embrace the winter with down compartments and water-resistant fabrics keeping you comfortable as you brave the outside. Winter sports jackets let you hit the slopes in style with Climaheat technology offering unrivalled warmth. 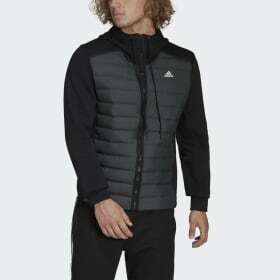 Whatever your game, however you play, this winter adidas have the winter jacket you need to keep your head in the game. With elegant colours, modern designs, and the quality only adidas can offer, find a new jacket and set your own winter stride.